The gear is somewhat hard to get because it requires you to have unlocked at least 6 traits in order to be able to craft the Shacklebreaker set. This set is essential for this build because it allows you to get both your stamina and magicka pools to we need them to be in order for our skills to work. Then Plague Doctor for HP pool and our monster set, well, that's up to you, I chose Lord Warden set because it gives, not only myself, but my group some nice defense. As a templar, especially a tank or healer, you must always look out for the well being of your fellow group mates. So this set works for that purpose. the templar class is the most selfless class in the game, so it's all about what you can do for others. The bigger pieces have infused to get the most out of the tri stat enchant while the smaller pieces have sturdy to take advange of reduced blocking, their enchants will vary depending on your race. since i'm a breton, i'm more concerned about health and stamina since magicka is something a breton gets in excess with their race passives. Shacklebreaker bonuses take care of putting the magicka and stamina pools where I want them, along with attribute points. *Take note that when I do Veteran Mode dungeons and trials I do switch my Greatsword out for another sword and shield. My skills also change a bit, but I will explain that in the general infor section. What you see here is what I have on most of the time, when I'm not out there doing vet group content. Weapon Damage: 1818 With S&B, 1867 with S&B and dawnbreaker skill bonus, 2011 with greatsword. This is a stamina build, however, in order for this build to work my magicka needs to be at a certain range close to stamina in order for certain skills to heal/dps the amount it's meant to. For all intends and purposes, this is a Spellsword build, hence my skills effectiveness is based on my sword weapons, but backed up by my spell damage and magicka pool, not just stamina. But stamina does need to be higher than magicka for 2 purposes, 1. DPS is based on my sword skills, hence stamina, but are backed up by magic skills like shards and ritual of retribution and 2. in order for shards to heal my stamina pool, stamina must be higher than magicka. I'm not worried about my magicka pool because as a breton and with atronach mundus and necklace, magicka regenerates rather quickly all by itself. But my magicka does need to be at least 18k in order for certain skills, like shards and ritual, to be effective. Vigor helps, a lot, but it's not enough to help myself and my fellow group members. they have resource pools that need healing too, so as a templar I must take that into consideration as well. Don't get me wrong, I am first and foremost a tank, but being able to do a little healing and dps does help the group in the long run and that's more useful to me than being a meat shield. I'm more productive this way. Now let me explain the skills and there will be two sides, because I do switch to double sword and board when doing hard mode content. 1. Pierce Armor - main taunt/armor debuff bread and butter skill of any tank, must be slotted. 2. Absorb Magic - heals me in case I receive damage from a magic enemy/boss, plus passively gives me 8% towards blocking and damage mitigation while blocking, must be present. 3. Ritual of Retribution - heals me and my group, while damaging my enemies and it's AoE. Plus when my mates activate the synergy it purges them of all abnormal statuses. Very useful, a bit broken since the heal and dps it once did got nerfed, but still effective when you need some extra dps and heals and goes great with vigor. Supposedly, in summerset update, this nerf will be fixed. I sure hope so, this skill in the right setting is very effective and it's AoE range is huge. 18k magicka pool needed to make this skill work. 4. Blazing Shield - The BEST damage shield of all classes, the defense it gives you increases the more enemies are present and damage is based on HP pool. The more you are hit the bigger the bang. It explodes damaging all enemies surrounding you by 50% of the damage you took from those enemies, relative to your max HP. Combine this with ritual of retribution and all mobs are decimated in a snap, bosses take heavy damage with this combo. 5. Resolving Vigor - Stamina based AoE burst DoT heal. Learnable from the Alliance War Assault PVP skill line. The Best AoE heal in the game, must have, especially if you are a stamina character. Stamina pool must be 20k in order to make this skill work great. Ultimate: Dawnbreaker of Smiting - Fighter's Guild AoE skill that hits very hard, stuns all targets within it's radius, and gives you weapon damage bonus based on your Slayer passive skill in Fighter's Guild skill line. Useful to give your sword and board more power and helps with large mobs. 1. Brawler - Cone AoE damage skill that also grants you a damage shield based on how many enemies you struck with it. Great when outnumbered and leaves a bleed DoT to all enemies struck. Great for survival when not using sword and board, or even when you use it for shield then switch to sword and board for some major defense. 2. Reverse Slice - 2Hand AoE skill and damage increases by 300% if your primary target falls below 50% health. If your target falls below 50% HP the damage is increased by 300% and all other enemies close to the primary target will also receive 65% of that damage to the primary target inflicted. The percentage increases based on the Forcefull passive skill of the 2 handed skill line. This skill works great against large mobs and it has helped me solo many world bosses. Use this skill with ritual and shards and you will slice and dice everything in your path. 3. Luminous Shards - AoE damage skill that heals your stamina or magicka pool, depending on which is higher, and will also heal your allies pools when they activate the synergy. This is what allows you to keep on going with the fight. You and your mates. 4. Restoring Focus - Great AoE protection rune that increases your defenses, plus mitigates damage and increases your healing received when standing on it and will continue to protect you after leaving it for 8 seconds more. This should be on at all times when tanking any boss. 5. Forward Momentum - 2 hand skill that adds 20% weapon damage when activated and lasts for 33 seconds, during that time you also heal and protects you from snares, immobilazation, and various statuses. Very useful during long fights, when you need some extra dps and back up heals, and PvP. Ultimate: Solar Prison - no need for Heroic Slash since this beautiful skill is an AoE Maim. Causes all enemies to lose 30% of their damage, that's double the amount of heroic slash, and while active causes a huge DoT to all anamies within it's blast radius. Also, if allies activate synergy, causes more burst damage and stuns all targets for a whomping 5 seconds. Useful in all fights. * When I switch to dual sword and board for Vet dungeons and trials, some skills change. The S&B is also Plague Doctor, to keep the hp bonus. and in summerset patch, 2 hand weapons will count for 2 bonuses, so we get to keep our high hp bonus from plague doctor, isn't that neat :). 3. Breath of Life - Burst Heal for yourself and 1 other, prefferably your healer, will give them some breathing space. you concentrate on tanking and staying alive, let the healer heal everyone else. 5. Mystic Guard - Guard skill from the Alliance War Support skill line, mitigates damage from the player you are protecting and transfers it to you, plus this guard increases healing received for that player. this is useful to protect your healer. Must be slotted on both bars to stay active when you switch bars. Ultimate: Reviving Barrier - Part of the Alliance War Support skill line in pvp. Offers a huge damage shield to you and all allies withing it's range and it heals. 1. Inner Rage - Magicka DPS and taunt from undaunted guild skill line. Also has an AoE DPS synergy if your mates activate it. 2. Heroic Slash - adds a 15% damage decrease debuff to target, plus helps to regen ultimate for warhorn. 3. Repentance - Heals you and group mates, both hp and stamina, for each corpse present, great for boss adds. Ultimate: Aggressive Warhorn - adds defense and dps bonuses to all members of the group. Must be kept up as often as possible. -Heavy Armor Focus 38: We need this since breton gets more spell resistance than physical, but points here will vary depending on race and gear sets. -Bastion 23: Must have to make blazing shield more effective. -Expert Defender 16: defend against light and heavy attacks. -Quick Recovery 43: We need this in order for the healing we receive from both our own skills and other players' to greatly work for us. -Light Armor Focus 0: Not needed, we use 5 pieces of heavy armor, not light. -Thick Skinned 11: some point here to help mitigate enemy DoT skills. -Hardy 43: We need this in order to mitigate damage from physical classes, especially those that love to use poison and/or desease damage like assassin nightblades, stam wardens, and stam DKs. -Elemental Defender 43: We need this to mitigate damage from magic DPS, like sorcerers. -Medium Armor Focus 0: Not needed, we use 5 piece heavy armor, not medium. -Ironclad 23: We need this so we can mitigate damage from direct attacks. -Spellshield 0: Not needed since we are breton class and we get too much spell resistance, it surpasses our physical resistance. however this can be useful to a race like orc or nord who doesn't get spell resistance as part of their racial passives. -Resistant 0: Not needed since we have so much resistances already you won't even feel the crit from dps classes, however if you wish to place some points here, depending on your race, or just for safety, by all means. -Thaumaturge 23: This increases our damage with our own DoT skills such as Shards, Rituals, and Bleeds. -Precise Strikes 23: Increases our dps and healing from crits with stamina skills, very useful for vigor and our melee skills. -Piercing 0: Not needed, we're tanks not dps and, as a tank for this particular build, we are pretty good with dps already. Any more and it will cease to be a tank, but up to you. -Mighty 43: We need this to increase our physical damage with our melee weapons and stamina based skills. Also affects how much vigor and reviving barrier heals, along with forward momentum, so as you can see, it's a must have. -Physical Weapon Expert 25: Increases our light and heavy attacks with melee based weapons. It also affects dps of the skills of those weapons. So the damage of pierce armor and brawler skills, for example, increases too, because they belong to those weapons whose damage has been increased with this champion perk. -Shattering Blows 23: We don't need this, but I put points here because sometimes you get enemies, or players in pvp, who are protected by damage shields. The faster you can destroy those shields, the faster you can kill them and the safer you will be without suffering damage from those annoying shields. -Master At Arms 23: Increase your own direct attack damage. -Staff Expert 0: not needed since we don't use staves. However, this could be useful to those who prefer a restoration staff or destruction staff on the back instead of a 2 hand or other melee weapon. It works the same as physical weapon expert. It will increase the dps, and heal if restoration staff, you deal with staff weapons and their skills related to them. Up to you. -Elemental Expert 43: Very useful since it increases the dps of all our magic based skills. This is what we need to back up our melee skills. -Spell Erosion 0: not needed since we are tanks not dps. We already do great damage, for tanks, why break the build, but up to you. If you can make it work, more power to you. -Elfborn 0: Not needed since we don't crit very often and when we do it's not by alot. Besides our magicka skills are meant to back up our melee skills. They aren't meant to be the main source of DPS. However you may place points here for the sake of criting with heals, since it affects our magicka heals too. Up to you. -Blessed 37: This increases our healing done, with both magicka and stamina heals, this we need. -Befoul 0: We don't have healing reduction skills slotted so this is useless. However, some people like slotting Dark Flare skill, which decreases enemy healing. It's useful, but to sacrifice our champion points for one skill seems counter-productive, unless of course is one of those awesome must have skills then ok, I can see this being worth the points. But up to you, this is useful though if you are going for the more heal tank kind build, with a restoration staff on back, or even a healer templar. Up to you. -Shade 0: We are paladins, we don't go around sneaking and stabbing people, we're the goody two shoes class. We don't sneak around doing evil deeds, we are better than that so no points here. Unless of course you want to revive the illuminati and do some sneaky evil church murders and mayhem, like during the time of the crusades and Holy Inquisition, then by all means go ahead. -Shadow Ward 49: Reduces the cost of blocking. This is a must have for a tank and this perk along with our sturdy traits makes blocking second nature and will barely cost anything to block attacks. Will also make it easier to block really heavy attacks from bosses and even one-shots, to an extent. -Tumbling 23: Reduces the cost of roll dodge, useful for those moments when you know a one-shot is about to happen and you need to move out of the range of the skill. -Mooncalf 43: This is a stamina build, so this helps our stam regen, must have. -Arcanist 43: You don't need this, but I put it here just in case, so our magicka regen keeps up for our skills. so it's useful depending on your build and point of view. -Healthy 0: Trust me, with this build, your HP will never fall below 50%, at the very least. In my experience, I've never fallen below 80% with this build. Well, once I got vigor, ritual and shards in my skill bars, I've never fallen below 80%. Those skills are Godsend and crucial to survival. along with breath of life and repentence. So you see, you have many ways to get HP back, HP regen increase not needed. you have enough skills to cover it. -Tenacity 43: Must have to recover our stam pool with our heavy attacks. stam regen will be a bit lower than magicka, so we need this. -Bashing Focus 16: Reduces cost of bash. Needed to interrupt skills often. -Sprinter 0: We can already run pretty fast, why waste points here. -Siphoner 0: It's ok, but not worth it for me, seems more of a dps perk, especially for assassin builds. -Warlord 23: Needed for when you are stuned, immobilized, snared, ect. Rating: 4.1. From 30 votes. Been looking for a build like this, and this has so much info!! Thanks heaps hey!! Thank you for the guide, this is exactly the play style I was looking for! I am wodering though, what passive skills do you use and how many spare skill points do you have left after after investing in all of the skills you need for batgle? Hey man, this build works with another face, like Nord or Redguard?? Sorry I took so long to respond, been busy with family matters. Yes, this build works perfect with nord, redguard, khajiit, wood elf and dark elf because it’s mainly a stamina build. For nord and redguard though you may need to experiment with gear to get the right combo to suit your needs in terms of magicka, but it’s not difficult to allocate. Depends on how much magicka and stamina you plan on using, now that summerset is active, this build has become more flexible. As for skill points, don’t worry, you get plenty in the game, I have 399 just from doing sidequests and shard collecting (haven’t even completed half the dlc content yet). This build, with crafting skills included, only took up 240 skill points. so I have 159 left over skills I don’t know what to do with. Will need to revise this build now that summerset is active. Psijiic Order skills will make this build a whole lot more effective. So stay tuned for that revision. I’m currently making some experiments with the build and the new content. But I promise you all, so far, it looks very promising. The power of the divines in the palm of your hands. Maybe I should change it to Paladin of Akatosh since I will be controlling the power of light and time. Take care everyone and I’ll try to get that new build up soon. What food do you run with this build? I’m not sure if I saw it or not in the information…. Sick build bro.. i tried out and i died everytime when i attacked something more advanced then normal world npc! looks like a fun build, but what about the passives/skill passives ? As for food and pots, anything with tri stat and that gives bonuses to your defenses, or dps if you prefer to be a bit more bursty. But I would just stick to tri stat. I hope that helps, still experimenting with Psijic Order skills so stay tuned for the update. This build is fun and really bursty, but requires some skill to use. Psijic Order, so far for me, has made it into easy mode due to the ridiculous amount of defense and shields it gives you. I aim to finish soon and post the new and improved build as soon as I can. Thanks all for you comments and support. Ok, now I think I covered everything, but if I forgot something please tell me. Any questions feel free to ask. Thanks all and I hope you have fun with the build. 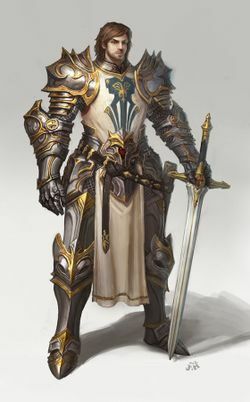 hello in advance I apologize I can not speak English but I would like to ask for a report on Tank Nord Dragonknight would you please?